A new report on the wearables market shows that Xiaomi was the single biggest company in this space in the third quarter of 2018, keeping Apple as the runner-up in terms of market share. The market also grew by 21.7% in general compared to last year. This was attributed to the release of new products and increased uptake in the Asia-Pacific region. A new report from the market analyst group IDC shows that Xiaomi's share of the wearables market had grown by 90.9% in the third quarter of 2018 (3Q2018) compared to 3Q2017. This puts its most recent share at 21.5%, and puts the company at #1 in terms of shipments in this market. IDC also reported that the Chinese firm also shipped 6.9 million units in this market, 1.7 million more than Apple, who remained in the #2 spot from 3Q2017 to 3Q2018. Apple's year-on-year (YoY) growth in the wearables space was 54%, giving it a total share of 13.1% this quarter. Fitbit's YoY performance actually decreased by -3.1%; nevertheless, it managed to hang on to the third place in terms of market share and shipments above Huawei. Samsung posted the greatest YoY growth for any one company (91%), and yet was still only able to scrape 5th place. 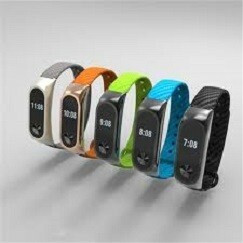 The overall wearables market grew by 21.7% YoY. IDC's analysis led it to conclude that this was due to the release of new products among the top 5 brands in the space. In addition, the report also stated that this growth was also driven by a 21.4% YoY increase in the Asia-Pacific region, even though it was down 0.4% in the US. In addition, it appears that the increased focus on healthcare-based apps and features (mainly offered by Apple and Fitbit) is opening up new avenues of demand in the market for wearable devices.